The exchanging of rings is central to any wedding and this stunning cushion makes this part of your ceremony extra special. 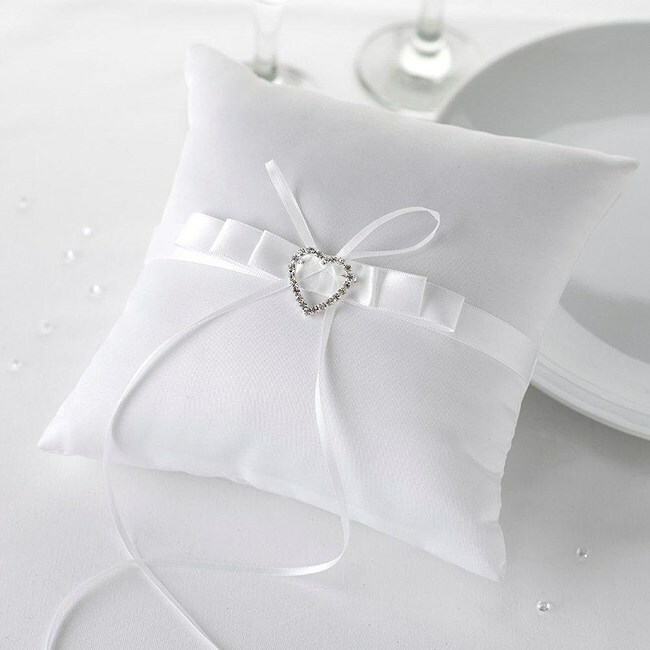 This elegant, plump white cushion makes the perfect home for your wedding rings and is embellished with a sophisticated white ribbon, secured with a pretty jewelled heart. A truly stylish addition to your marriage ceremony.